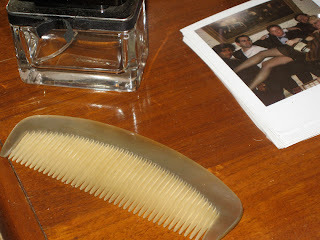 Many stores sell horn combs for prices that could make you cry (when considering a comb). But I found this at Pearl River Market for about $8. They look beautiful sitting around and serve their purpose if you actually are concerned with function.